To be honest I packed way too much for my trip to Africa and I blame South Africa. I had know idea what to expect with weather in November (Spring/ early Summer). 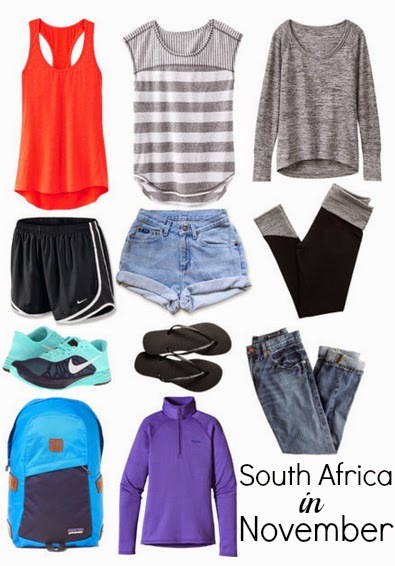 Turns out, once I got to South Africa I still didn't know what to wear. It could go from sunny to windy to raining all in day. South Africa had also proven to have such a verity of temperatures. In one town I am frolicking on the beach in the sun and the next I was bundled up in a blanket with every layer on.